I will definitely preface this with a slight warning. In my opinion, veggies and beans will never taste like meat. If you are looking for a completely different flavor, this is for you! I loved it and M, who loves his meat, said that he absolutely wanted to make these again. We have all the materials to make them again this week! 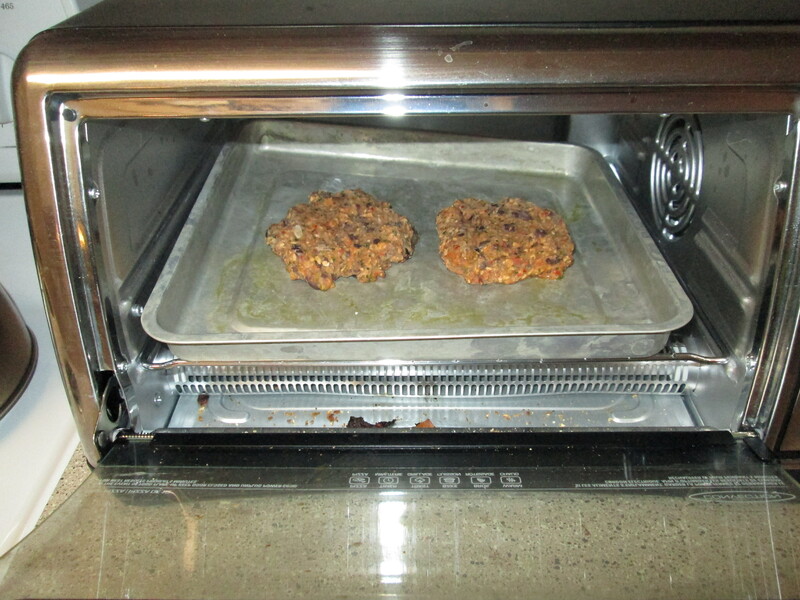 The flavor of these black bean burgers is amazing and has a bit of a zip to it, which I love! 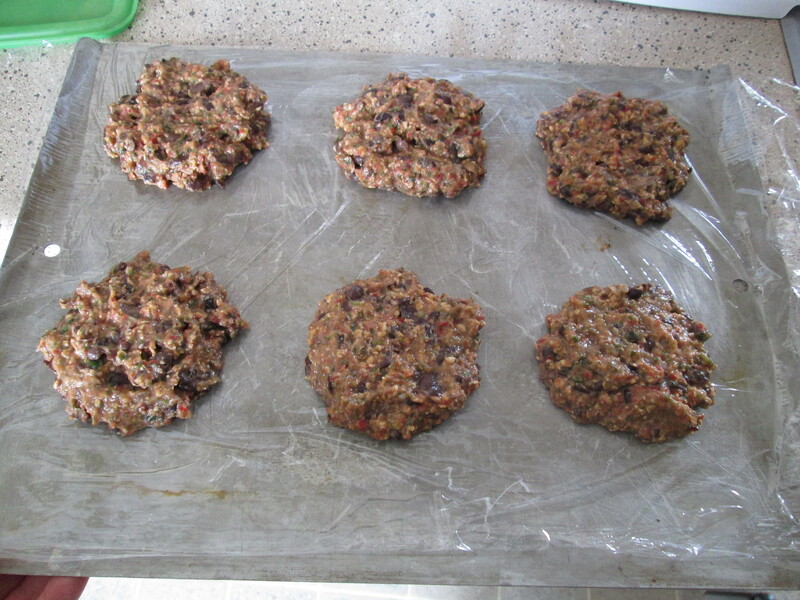 My completed black bean burgers didn’t come out very pretty, so I didn’t take any pics. For some reason, they totally fell apart. I’m going to try to make them again and see if I can get them to stick better. I think that if I don’t puree the materials as much, that might help. The #1 most challenging thing about these was that they don’t form into patties very well. 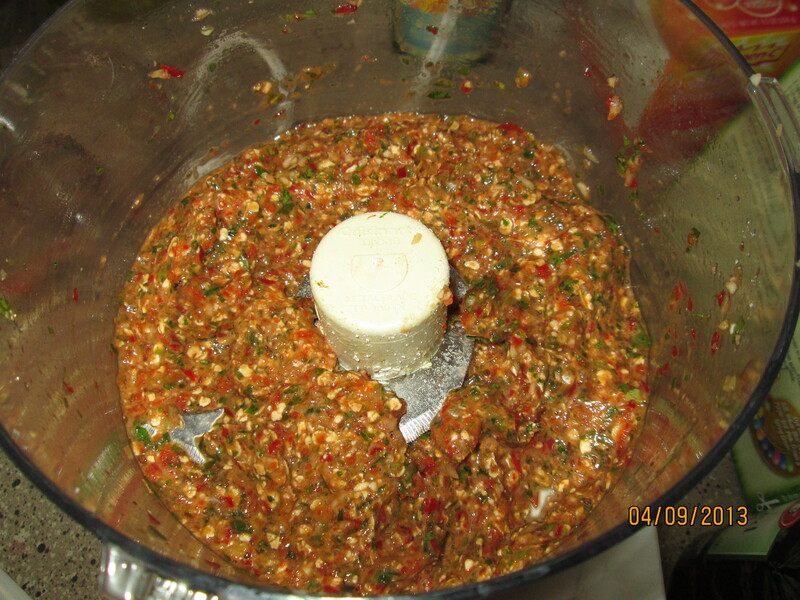 I would recommend putting the entire mix into the freezer for about an hour so it will firm up a bit and be easier to form into patties. 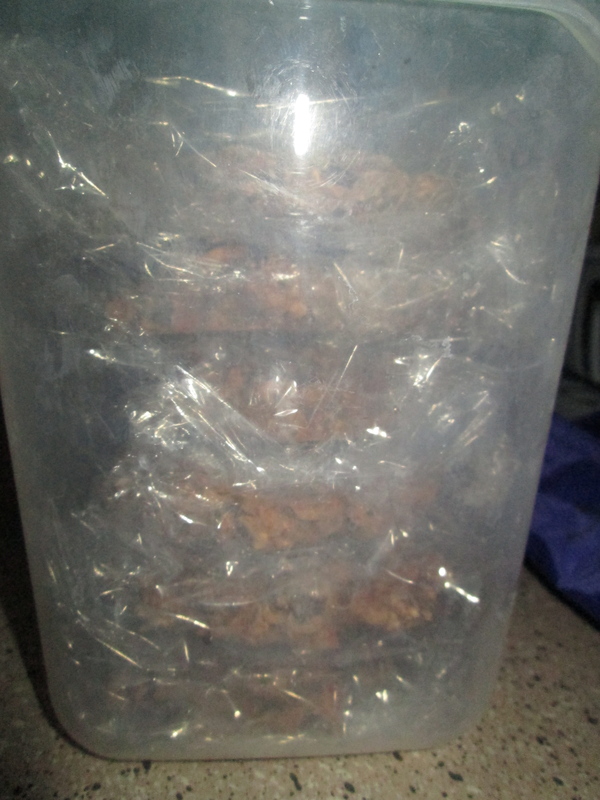 The recipe calls for 4 patties, but I found six to be much more manageable. I definitely see why these NEED to be frozen before cooking. It’s a little ridiculous how squishy and soupy the mix is. Without being frozen, there is no way they would stay together being cooked. Even with being frozen, I still found them difficult to flip. Additionally, I found that 7 minutes on each side is not enough. 10 is more reasonable because they firm up a bit more before you flip them that way. I did not make the chipotle mayo. First of all, I cannot find the chipotle peppers in adobo sauce around here. Secondly, I really don’t think these need anything on them to make them 100% enjoyable! I did buy some chipotle mayo, but neither of us actually wanted to put the mayo on the burgers. We did put the avacado on it, though. That was delicious! They are packed with flavor and the texture, once cooked, is really nice. They do still have a tendency to fall apart even after they are cooked. I wonder if adding another egg would help? Ok…So this is added before posted. We made these again. When I processed them, I processed all the items a bit less. 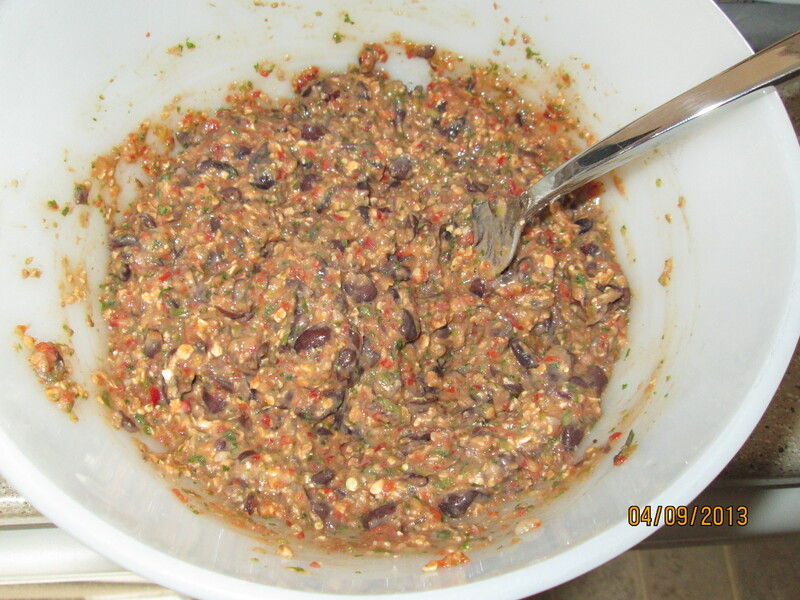 Then I added the beans straight to the food processor and pulsed a couple times. They ended up a bit chunkier, but were really delicious (and didn’t fall apart quite so easily). We also increased the cooking time. In the oven it was about 13 minutes on one side and 8 or 9 minutes on the other. In the toaster oven it was about 15 minutes on one side and about 10 minutes on the other. Name of the game: don’t cook these when you have to leave in a hurry! Also, I tried the chipotle mayo we bought. Very good. Are you gluten-free? I find that a bit of gluten in my bean burgers (or beanballs etc) really really helps bind them. Of course, gluten isn’t for everyone, I’m fortunate that I can have it. I am not gluten free. That’s a great idea! Maybe I’ll try that next time. I think the idea is the egg is supposed to help with that, so I’ve also been thinking of trying more than just one egg. Ohhh, I don’t eat eggs so that never even occured to me as an option 😛 Vital wheat gluten is super handy for binding oats, beans etc together. That’s a great tip for all of those vegans out there (and those of us who are trying to make more vegan choices)! Thanks for that advice, very helpful.